Paper Cult co-founder Raphael Toulouse discusses how Bloodroots allows gamers to play like Jackie Chan in The Revenant. 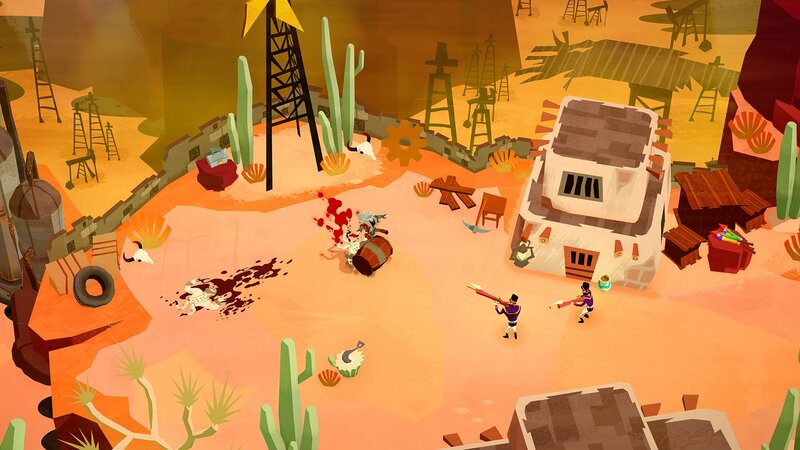 As the Shacknews team continues to make their way through GDC 2019 we continue to find hidden gems, like the indie game Bloodroots from developer Paper Cult based in Montreal. It’s an intriguing game at first glance, but what drew me into the interview was the description that Bloodroots is essentially letting players be Jackie Chan in a setting similar to The Revenant. Shacknews’ own Greg Burke had the opportunity to speak with Raphaël Toulouse, co-founder of Paper Cult. Raphael excitedly talks about Bloodroots, revealing that the bear from The Revenant will make an appearance. Bloodroots is not all about its 60s Disney art style and players getting to play like Jackie Chan, though. Bloodroots allows players to use anything in the environment as a weapon or a means to move around the level. It’s also mentioned that combos are at its core, and each level can be cleared with a single combo if players are able to elevate their skill mastery high enough. When asked about some of the challenges of making an indie game in 2019, Raphael laughs before simply saying, “Finding money.” The game doesn’t yet have a publisher, but it was hinted that Devolver Digital would make a great option. Bloodroots is currently expected to release this summer, with Raphael saying that the game would come out on PC via Steam and console, although no specifics were given. Those wanting to stay on top of Bloodroots and all other titles can do so with the video game release dates 2019 calendar on Shacknews. Bloodroots is another example of a game that could easily fly under most radars, but the idea of letting players move like Jackie Chan in a setting inspired by The Revenant is enough to give it a second look. For more games worth checking out, visit the Shacknews YouTube and GamerHub TV YouTube channels.